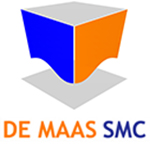 De Maas obtained concept approval of its propriety and patented design of the Semi Submersible Fish Farm, with ABS Class notation + A1, Floating Offshore Installation (SPAR). The approval confirms the feasibility of the conceptual design and clears the path to further design development to a fully approved design. De Maas highly values ABS’ cooperation in the development of offshore fish-farm design.